ObusForme's "flagship" backrest product. The Lowback is lightweight and portable. Patented S-shaped frame. Includes removable lumbar pad for added lower back support. Relaxes muscles, leaving you more comfortable and energized. Patented and award winning, ObusForme is well known for its effectiveness in reducing back pain and encouraging proper spine alignment. 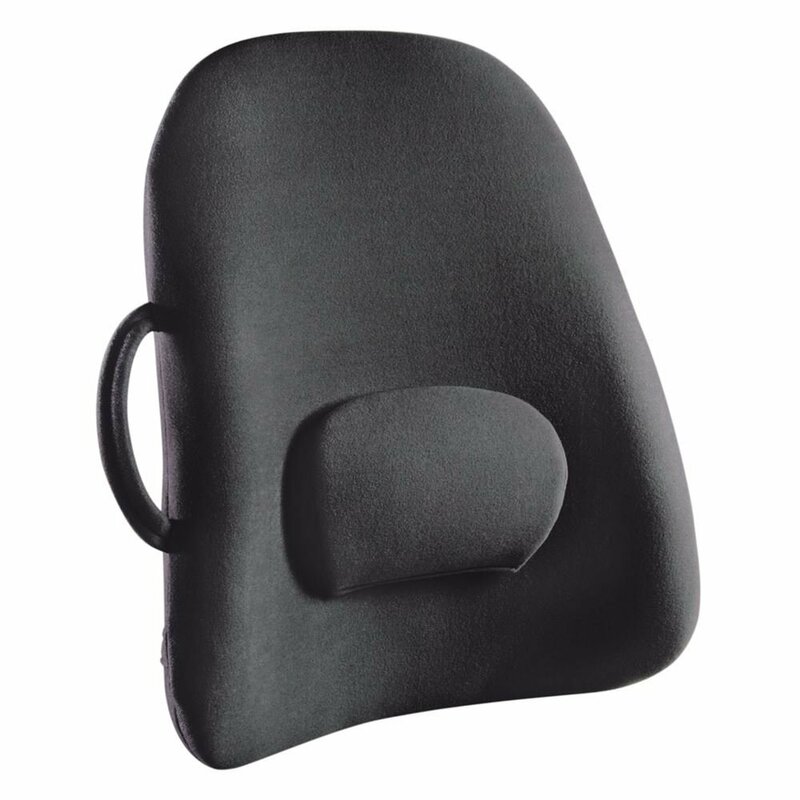 Durable polyurethane foam provides cushy comfort. Features molded, impact resistant, lighweight polycarbonate frame. Covered with hypoallergenic, brushed nylon, all ObusForme backrests are sponge washable. Use ObusForme backrest supports virtually anywhere-at home, in the office, or in the car. Black. Most lower back pain results from the cumulative stress that poor posture places on your body. Sitting is the most stressful posture for your lower back. Back pain can be relieved and prevented by sitting with the good posture that ObusForme Backrest Supports provide. Unlike traditional 'L'-shaped chairs, the 'S'-shaped frame of the Obus Forme Backrest Supports mold your spine into proper anatomical alignment. Muscles relax; pain is eased, leaving you more comfortable and energized. 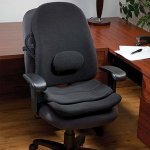 Includes a removable lumbar pad for additional back support that can be adjusted to fit your individual needs. Use the ObusForme Backrest anywhere you sit - in the home, office or car. This features a hypoallergenic cover which can be removed and washed easy for your convenience. 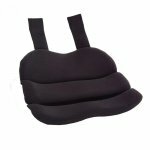 The removable lumbar pad provides additional comfort for the lower back by supporting the lumbar curve. Unlike traditional "L" shaped chairs, the "S" shape of our award-winning ObusForme Lowback Backrest Support positions your spine for proper anatomical alignment. Contoured cushioning provides supportive comfort. This has been designed with an impact resistant poly carbonate core structure, and soft and durable polyurethane foam padding. Includes a convenient handle for portability. You can bring this around the house, bring it with you when you drive in the car, or even when in work. You can ensure back comfort wherever you are.